Hidden away at the southern tip of the African continent lies a region decked in old world charm and kept secret to preserve its rich combination of biodiversity, historical importance and natural beauty. But a secret as delicious as the raw beauty and splendour of the Overberg is too good to not share with the rest of the world. When visiting the quiet village of Napier that encourages you to “Slow Time and Live Life Deliberately”, you will coincidently find the largest monument to time in South Africa. 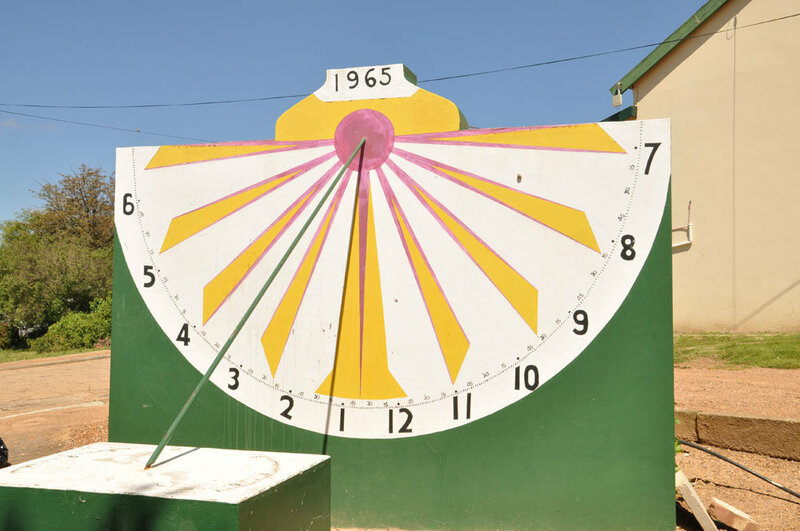 Inspired by the controversial works of Langenhoven and the movement of shadows through the seasons, Danie du Toit built the largest sundial in South Africa in 1965. The sundial can be visited at the municipal buildings and is still 100% correct twice a year on the Winter and Summer Solstices. 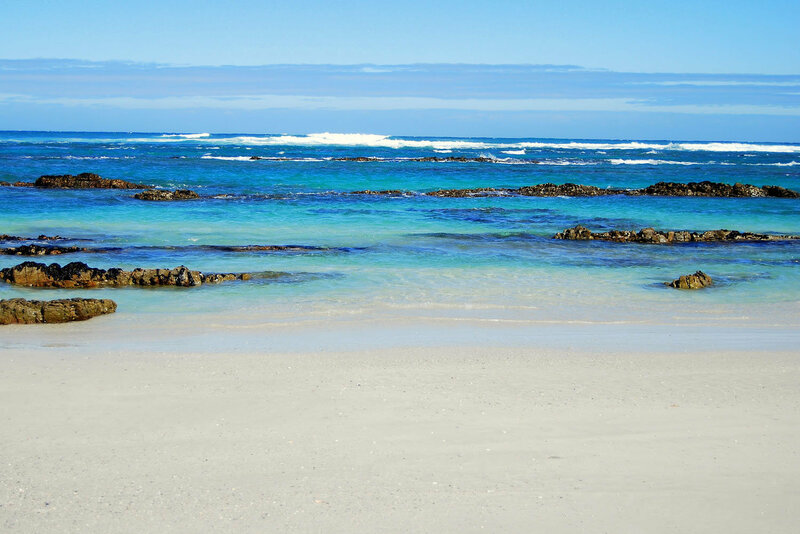 Fast becoming a popular getaway for city slickers, the De Hoop Nature Reserve is located on the edge of the Cape Agulhas region. The Reserve covers 34,000 hectares of land as well as a Marine Reserve that stretches 5 kilometres (3 nautical miles) out to sea which is one of the biggest Marine Reserves in Africa. The De Hoop Nature Reserve also makes out a part of the Cape Floral Kingdom Protected Areas. 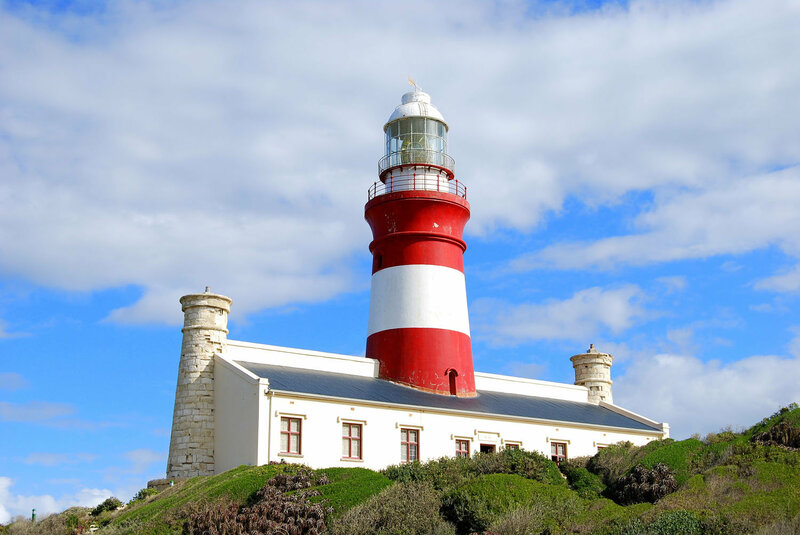 Designed by Colonel Charles Cornwell Michell, construction for the Cape Agulhas Lighthouse started on April 1st 1847 and the corner stone was laid on January 8th 1848. Standing at an impressive 27 meters high, the Lighthouse was originally lit on March 1st 1849 and is the oldest working lighthouse in South Africa. 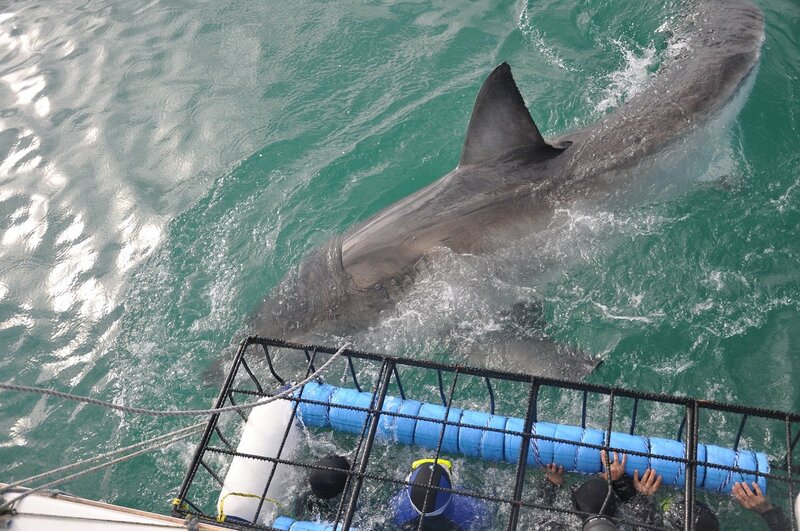 With an average population of 1000 Great White Sharks at any given time, it is no wonder why the small fishing village of Gansbaai is known as the Great White Shark Capitol of the World. 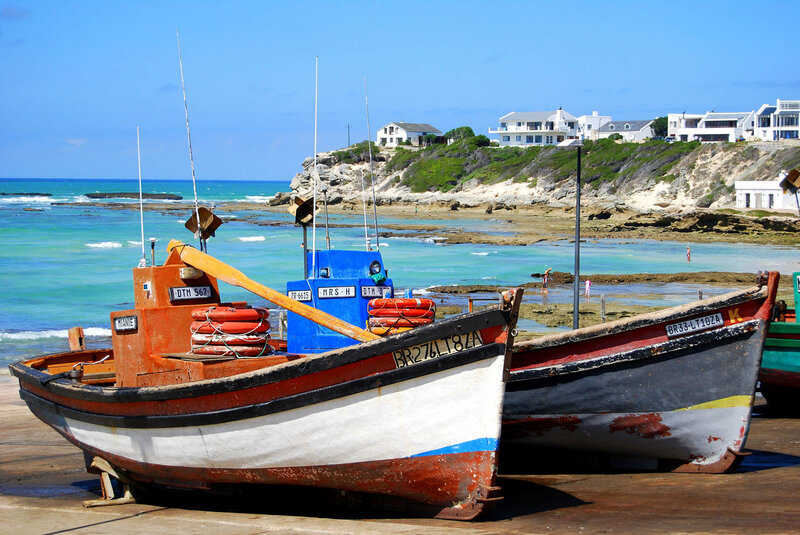 The high concentration of Great White Sharks (the apex predator of the Marine Big 5) and exceptional whale watching in De Kelders gave origin to Gansbaai also being known as the Big 2 Town. Originally named after the nearby Waenhuiskrans Cave, so named because it was said that you could turn an oxwagon with a full span of oxen around inside. The second name was added shortly after the unfortunate wrecking of the HMS Arniston and in 1981 both names were recognized as the official names of the village, Arniston/Waenhuiskrans. 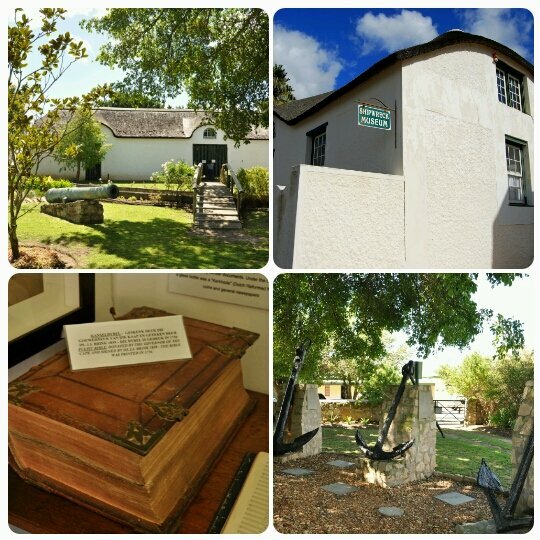 The Bredasdorp Shipwreck Museum was opened in the 1960’s and officially proclaimed a museum in 1975. The museum is a tribute to the estimated 150 ships that met their untimely doom on the coasts of South Africa and showcases salvaged artefacts that include portholes, furniture, anchors, canons, maps and much more. It is located in the heart of Bredasdorp and the only Shipwreck Museum in South Africa.